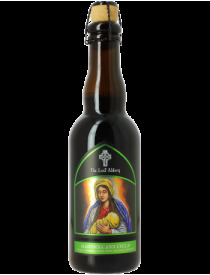 Lost Abbey - Grand Cru s.n.c. di Aprile Paolo &C.
They were told not to eat the fruit from the apple tree. It was off limits and the fruit was forbidden. They were tempted by the serpent and made a choice to eat from the tree. Their actions were not preordained but rather the actions of beings with free will. We have all been given free will and it is this notion of free will that affords each of us the opportunity to make choices in our lives. At every fork in the road, there are signs marking the struggle of Good vs. Evil. The Lost Abbey was imagined as part of a crusade in this ongoing story of Good vs. Evil beer. Everywhere we turn these days, there is a battle being waged between those who make good beer and those who make evil beer (bad beers). But, how did we get here? Why us? Why these beers? Do you want to join our crusade? A few years and beers ago, Vince Marsaglia (one of our co-founders and half of the family duo that owns Pizza Port) was inspired by the numerous Abbey Style beers that he tasted and dreamed up a brewery project that produced a range of beers produced with a nod to the monastic brewing traditions of Belgium. As Vince imagined it, this brewery had no actual Abbey property involved, making it “lost” from the very beginning. For years the idea of this mysterious “lost” abbey-style brewery remained a concept only because, as intriguing as it was, the vision lacked one thing that could make it real: someone who could make the beers. That all changed in 1997 when Tomme Arthur was hired to brew at Pizza Port in Solana Beach, California. In November of that year he released Dubbel Overhead Abbey Ale, the first Belgian-style beer ever brewed at Pizza Port. 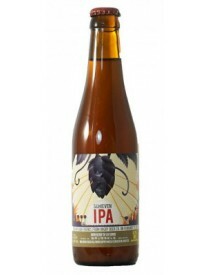 A series of Overhead Ales was developed, and many other Belgian inspired beers soon followed. Tomme gained a reputation in the brewing industry and with consumers for his interpretation of classic Belgian-style beers as well as a cult like following for some of the most imaginative free-spirited beers brewed in America. The emergence of the burgeoning San Diego Breweries along with an American Craft Brewing scene spearheaded by breweries like Dogfish Head, Russian River, Southampton Public House, Avery, Allagash and Pizza Port helped foster a movement towards small scale, single batch unique beers. After many years of small scale brewing at Pizza Port, Tomme and Vince began formulating a plan to bring these beers to a wider audience. Building on Vince’s original Belgian brewery vision, this new brewery would dedicate itself to a flavor-first brewing philosophy where thinking outside the box — and equally as important — brewing outside the box were the hallmarks. Uniquely crafted beers such as Cuvee de Tomme, Le Woody, Late Harvest, SPF 8 and SPF 45 Saison — and many others to come — would finally be made available on a scale that allowed more people to taste the vision in each bottle. Charged with a vision and a brewer who could realize it, one of the largest remaining obstacles — a brewhouse — was overcame in 2005 when Stone Brewing Co. announced that it was moving from its old facility in San Marcos, California to a much larger one a short distance away. Knowing a sign when they saw it, Vince, his sister Gina Marsaglia (the other half of the Pizza Port duo), and Tomme took over Stone’s old brewing facility. In early 2006, after nearly 10 years as Pizza Port’s brewmaster, Tomme passed the brewing reins to the capable hands of (former) Carlsbad’s Pizza Port Head Brewer, Jeff Bagby, and left the company to direct operations at Port Brewing. With a 3-vessel, 30-barrel brewery originally capable of making over 5,000 bbls (now upwards of 15,000 bbls) of beer each year, the new brewing company set about shaking up the craft brewing world with two distinct beer lines: the aggressive San Diego/West Coast-styles under the Port Brewing label, and a Belgian-inspired series carrying Vince’s long-imagined “Lost Abbey” name. The doors opened in May 2006 and in 2007 Port Brewing was named Great American Beer Festival Small Brewery of the Year, and Tomme Small Brewer of the Year. Scarcely six months later, the pair were again honored — this time as Champion Small Brewery and Small Brewer at the 2008 World Beer Cup competition, one of the youngest breweries ever to win the back-to-back honors. Today Port Brewing continues at the vanguard of craft brewing, ranked as one of the top 10 new breweries in the nation by both industry experts and enthusiasts alike — driven in large part by its extraordinary Lost Abbey beers and a library of 1000+ plus oak bourbon, brandy, sherry, and wine barrels that comprise one of the most remarkable barrel-aging programs for a craft brewery of any size. Distribution has also expanded to major cities and metropolitan areas throughout the country, allowing beer lovers to enjoy fresh brewed Port products from coast to coast. (If your region doesn’t yet have our brews, don’t worry, we may be there soon). We ask you to join us on our crusade to make locally brewed beers in the most imaginative and flavorful ways possible. While we are in the business of making beer, we also believe that we are foremost in the business of imagining all things possible and our goal as brewers and imaginers is to cultivate and develop the fruits of our fertile imaginations. We believe there are no boundaries to what we have set out to achieve and we know that those who seek out The Lost Abbey will be rewarded in the end. Sour ale con lime e sale, invecchiata in botti di vino rosso e tequila.